The Indianapolis Colts hired a new general manager this week, but they lost one of their best players not long thereafter. 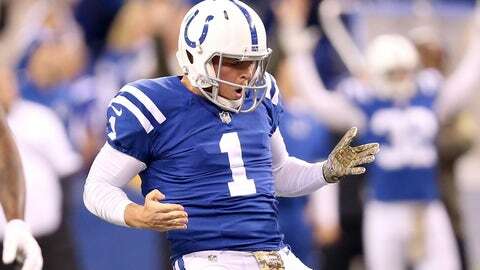 Punter Pat McAfee shockingly announced his retirement from the NFL on Barstool Rundown late Wednesday night, saying he’s going to pursue his dream of being a comedian. Considering he’s only 29 years old, McAfee’s announcement was a shocker. Fans on Twitter were left picking up their jaws from the floor, as were many NFL players. Here’s now some of those fellow players reacted to the news, from telling McAfee it’s not April Fools Day, to just about all of them wishing him well in the future.